Rather than difficult, learning Dutch is different. A Business Dutch course is for people who would like to learn using Dutch in their working environment. We analyze the needs and goals of each student and create a tailor made learning program. During the training sessions, we place emphasis on using real-life activities to help students build fluency and develop confidence. Private training is designed for people who would like one-on-one coaching to build particular skills. We customize course content to reflect the needs and interests of the student. Courses consist of a minimum of 10 sessions. Each training session is 2 hours. The cost includes; training, customized lesson materials, homework and email support. Group training is designed for people who would like to learn in a more social environment and who have the same learning goals. They have the opportunity to practice Dutch with other students. We customize course content to provide the group with a variety of interesting discussion topics and role-playing opportunities. The cost includes intake, training, customized lesson materials, homework and email support. 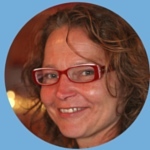 Jessica de Rooij, founder and trainer of the company’s Zaantraining en Dutchtraining, gives Dutch language training to professionals from all over the world. Using experience gained from her theatre background, Jessica has developed a dynamic approach to teaching that is tailored to the specific needs of the individual student. She creates a relaxed atmosphere in which students can learn at their own pace, and where the main focus is placed on communication, rather than trying to memorize rules and complicated grammatical constructions. Jessica is experienced in effective feedback, the seven learning styles and the lexical approach. Her specialty is teaching people how to improve their verbal expression. She is familiar with the mental and emotional hurdles that people face when learning a new language. Her patience and enthusiasm are very encouraging for clients from all walks of life. Her students include high-ranking business people and sportsmen, including non-Dutch members of the Ajax football club.